We’re delighted to welcome Kilkenny Rosé Veal back to our menu as an Autumn special. Sourced from the Madigan family farm in Windgap Kilkenny, this veal has been reared to the highest possible standards of animal welfare. It is naturally low in fat and high in Omega 3 and comes directly from the Madigan farm to our kitchen to your plate. The Magigan family have been farming in Windgap, Co. Kilkenny for over 300 years. Now Jack Hahessy Madigan takes an innovative and modern approach to farming and is committed to an environmentally friendly philosophy where animal welfare is a top priority. Kilkenny Rose Veal has a light pink colour and a characteristic taste. 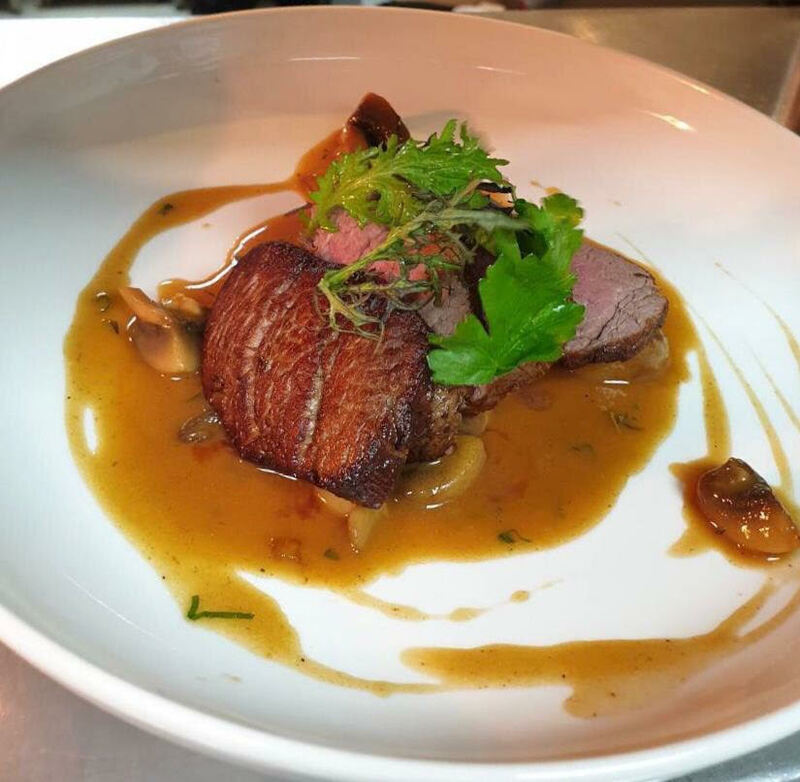 Experience Chef Antonio’s delicious Rosé Veal Special served with porcini mushrooms and red wine sauce to perfectly showcase this delicious local and organic meat. As our Kilkenny Rosé Veal is local and dependent on availability, we recommend that you check availability prior to visiting the restaurant. To reserve a table, please call us on 056-7761575 or email us at info@rinuccini.com.